EDEL Technology is an event partner for the Enterprise Africa Summit. • Africa focused: A summit by Africa for African entrepreneurs. Events, panellists, participants and outcomes will reflect and meet the needs of African entrepreneurs and policy makers. Can enterprise be an engine of resilience in Africa? How can Africa’s enterprises develop resilient solutions to Africa’s problems? 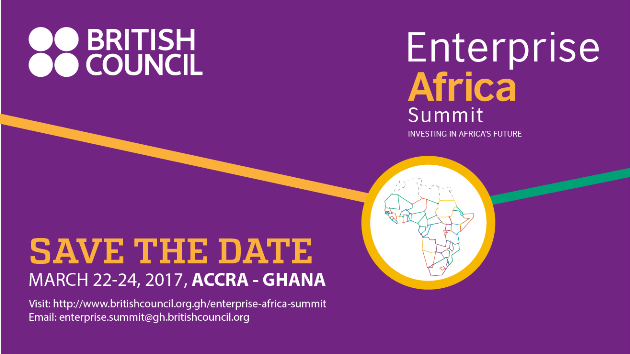 The British Council will use its extensive network to convene a regional summit in March 2017 to dialogue on ‘next generation innovations’ and celebrate efforts in entrepreneurship and resilient development.